Artisanal LA to Santa Monica April 16-17, 2011. Save the date! It’s not HHO gas. When you run electricity through H20, H2O breaks down into H2 and O2 gas. HHO is just showing that H2O is being broken down by? electrolysis. Hydrogen is a perfect fuel, clean, cheap to? get, could be extracted at home from water. Stan Myers had a hydrogen powered car, tha government had him sign a30million dollar contract and then Stan died of food poisoning.? Denny Klien is presently making our military H-1 hummer that runs on hydrogen. Its just the oil companies do everything to convince the world otherwise. Aquygen® Gas (HHO Gas) an solder or braze copper joints in up to half the time without the benefit of other gases. Aquygen® Gas can cut up to 1.75″ steel without the benefit of other gases. The mark Aquygen® and/or is registered trademark owned by Hydrogen Technology Applications, Inc. The permitted and restricted use of this trademark is described in our Trademark Policy. HTA is interested in licensing its technology for specific uses and/or specific areas of the world. If you are interested in licensing out technology, please contact us. DEMO is now broadcasting LIVE! Each demonstrating company will have just 6 minutes on stage to show you what they’re all about. The pace is fast and the pressure is on! SocialEyes is a social video service that allows you to connect with friends and meet new people. SocialEyes wants to provide live video chats and taped video messages for more than 500 million Facebook users who average 150 friends each. This free video service ideally built to handle a conversation of three to six people at the same time, though the program can accommodate up to nine people at once grid. SocialEyes calls the video gatherings of individuals locations as “geo-shifting.” Video meetings can be set up by secret group, open group and work group. No downloads, no plugins, connect instantly. Chat with a friend or rally a group for a multi-person conversation. Meanwhile, I’m going to back up all of my Gmail forthwith. But wait a minute -– how do you back up Gmail? This is a free application for Mac, PC and Linux called Gmail Backup. I gave it a try and it’s easy to use. After a quick download, you just give it your credentials and it begins downloading all your e-mails, backing them up securely no matter what Google decides to do. Google Mail service has already been restored for some users, and we expect a resolution for all users in the near future. Please note this time frame is an estimate and may change. This issue affects less than 0.08% of the Google Mail userbase. Google engineers are working to restore full access. Affected users will be temporarily unable to sign in while we repair their accounts. Our team is continuing to investigate this issue. We will provide an update by February 27, 2011 7:02:00 PM UTC-8 with more information about this problem. Thank you for your patience. This issue affects less than 0.08% of the Google Mail userbase. This is a revised estimate. Google engineers are working to restore full access. Affected users may be temporarily unable to sign in while we repair their accounts. Our team is continuing to investigate this issue. We will provide an update by February 27, 2011 4:44:00 PM UTC-8 with more information about this problem. Thank you for your patience. For those Gmail users reporting missing messages, our engineers are working to restore them as soon as possible. Our team is continuing to investigate this issue. We will provide an update by February 27, 2011 2:20:00 PM UTC-8 with more information about this problem. Thank you for your patience. This issue affects less than .29% of the Google Mail userbase. We’re investigating reports of an issue with Google Mail. We will provide more information shortly. Britney Spears will perform her single “Hold It Against Me” on ABC Good Morning America on March 29, 2011 in San Francisco. Please circulate this notice as you see fit. Thanks! When we were invited to become a Huffington Post blogger last year I understood that the company paid nothing. We surveyed our writers’ reaction to assess their willingness to have their material reposted there for no additional pay. Visual Art Source, ArtScene and art ltd. (https://www.visualartsource.com) form an umbrella art publishing company that is actually quite large by the standards of our very specialized field. The tens of thousands of readers and online users that we boast, however, are miniscule compared to the 26 million visitors per month that the Huffington Post currently draws. 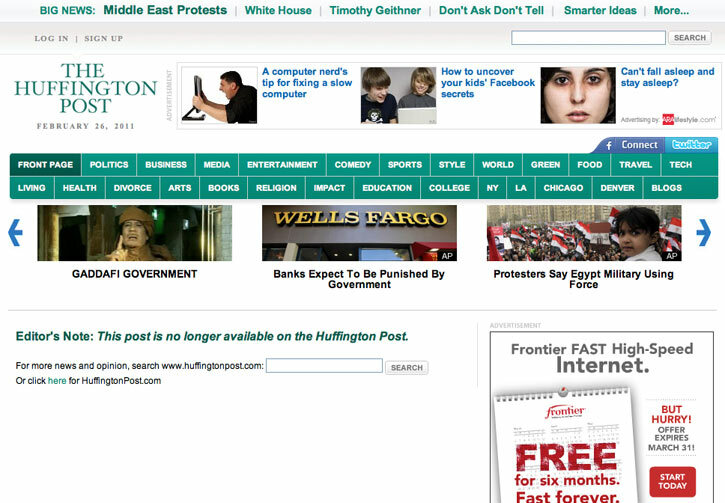 This strike notice as it appears on Huffington Post. You can download Oscar ballots from the official Oscar website or you can download the ballot application to your smart phone. Sears has Dyson DC17 Upright Vacuum Cleaner for $246 – $5 code SEARS2011 = $241 with free store pickup to save on shipping, otherwise it’s $14 to ship to home. Sears also has Dyson DC23 Motorhead Vacuum Cleaner for $300 – $5 code SEARS2011 = $295. Don’t delay check out all the Dyson Vacuums on sale at Sears. One of the top farmers markets in the Los Angeles area, in particular the Glendale area is the Sunday Atwater Village, CA Farmer’s Market, which takes place on Glendale Ave.
Be sure to pickup one of the Frequent Shopper Cards where if you visit the market six times you get a $3 money to spend at the market!! That’s pretty good incentive. The market carries a wide assortment of food products. Including produce from various parts of the area, from Fresno to San Diego. Today I purchased some stuffed olives and apples from the vendor from Fresno. I don’t remember the vendors name but he was very friendly and nice enough to offer a deal when buying a few things. Which is always nice to see. You can find seafood, flowers, honey, coffee, apples, carrots, pies, chocolates, preserves, even Spanish specialities at this market. 3. Cristina’s from Spain – Gourmet Food – Tony Testa, (323) 719-1974, [email protected] www.cristinasfromspain.com – making a variety of Spanish Tortillas, authentically made in a kitchen downtown Los Angeles, you can purchase the classic, herbs, and shrimp varieties, they sell $3 a slice or $18 for a whole tortilla. They also sell Marcona Almonds, Membrillo(quince paste), cheeses and chorizo. All the great products from Spain. All appear to be imported except from the Spanish Tortilla. 4. JamIam – Carolyn Cooper, Owner, (323) 356-6928, handcrafted jams, marmalades, fruit sauces, and chutneys – Country goodness for the urban palate. There are plenty of other vendors which we will gather additional information and update this posting. The Atwater Village Farmers’ Market opened in June 2005. The market is open every Sunday from 10am to 2pm and is located at 3250 Glendale Blvd. in the Wells Fargo parking lot at Larga Ave. The market offers a wide selection of fresh fruits and vegetables as well as bread, spreads, flowers, prepared foods and artisan crafts each week. The market also hosts monthly events including cooking demonstrations, contests, children’s activities and live entertainment. The group will be performing at the Sunday at the 83rd Annual Academy Awards. The Academy flew them in on United Airlines. The 5th grade chorus whose videos are seen by millions are again in the national tv spotlight, this time on one of TV’s biggest stage. They are so excited to be performing at the Oscars! Mr. B, started posting his kids performing videos. PS 22 will perform “Over the Rainbow” written for the movie The Wizard of Oz, and was sung by Judy Garland in the movie. became Garland’s signature song. 10 year olds from blue collar neighborhood. The PS22 Chorus was formed in the year 2000. We are an ever-changing group of 5th graders from a public elementary school in Staten Island, New York. We are NOT a school for the arts or a magnet program. The chorus has become a bonafide internet sensation over the last few years, singing choral renditions of classic & alternative pop songs. The kids have sung with Tori Amos, Passion Pit, Crowded House, Queen Latifah, Common, Celtic Woman, Matisyahu, KT Tunstall, Greyson Chance & Kylie Minogue! They have also performed for President Obama and the first family, Beyonce, Lady Gaga, Stevie Nicks, Rihanna, Kanye West and so many more! Celebrity fans include Perez Hilton, Ashton Kutcher, and the list goes on! The PS22 Chorus has been seen on Nightline, MTV, Good Morning America, Ace of Cakes, VH1 Divas 2009 Special, and other national broadcasts. The group was featured on National Public Radio, the BBC, and even Howard Stern. The Junior League of Pasadena, Inc. invites you to come learn about the many non-profit organizations our city has to offer. We will start the day with an energizing and professionally timed 5K & 10K around the beautiful Rose Bowl and finish by celebrating the work of our local volunteers at our Annual Community Expo. Bring the family, a Kids K will be held just before the awards ceremony! Admission to the Expo is free. We are an organization of women committed to promoting voluntarism, developing the potential of women, and improving communities through the effective action and leadership of trained volunteers. Our purpose is exclusively educational and charitable. We reach out to women of all races, religions and national origins who demonstrate an interest in and commitment to voluntarism. The race will begin and end in Parking Lot B at the Rose Bowl. 10:30am – 2:00pm – Food Truck Cuisine Ring (free admission with race registration). *Sorry – no refunds will be provided de to weather conditions. PASADENA, CA – On February 27, 2011, the Junior League of Pasadena will be hosting its 2nd annual Community Expo and 5K, 10K, Kid’s K race. The purpose of the event is to celebrate local non-profit organizations with family friendly races and community booths for promotion of volunteerism. This year’s event will also feature the new family friendly way of eating that has been sweeping Southern California: Gourmet Food Trucks. Gourmet Food Trucks serving at the Community Expo include: Lobsta Truck, Nom Nom, Coolhaus, Frysmith, Boba and Lardon. Lobsta Truck offers a whole new level to food truck mania with its New England style selections of lobster rolls and clam chowder. Nom Nom, well know for their involvement in Food Network’s “Great Foodtruck Race” offers Vietnamese fare including Banh Mi sandwiches and Vietnamese tacos. Coolhaus is guaranteed to be a hit amongst the kids as the upgraded neighborhood ice cream truck, serving a menu of cookies and ice cream flavors combined to make its customer’s perfect ice cream sandwich. Frysmith introduces a new level to fusion comfort food, with its variety of unusual toppings on french fries such as the Kimchi fries served with Kobuta pork belly, onion and cheddar cheese. The Boba truck brews up a unique tea menu that ensures you are drinking the freshest possible tea with all the flavors and anti-oxidants intact. The Lardon truck is dedicated solely to the glory of bacon with specialties such as Bacon pancakes and Lark brownies topped with a bacon-Nutella sauce. Other trucks have yet to be announced. Admission into the food truck ring will be free for all participants registered in the 5/10K or Kid’s K. A $5 donation towards admission is asked of those not participating in the races. All proceeds benefit the Junior League of Pasadena community programs. Admittance will be limited and tickets are now being pre-sold at www.myjlp.com. Additional cost of food applies. The Community Expo, 5/10K , Kid’s K races and Food Truck ring will take place in Parking Lot B of the Rose Bowl. Admission to the Community Expo is free and the public is welcome to attend. The 5K and 10K course will start at 8:00AM and will consist of one and two loops around the Rose Bowl, respectively. Participant registration for the race is $25 for the 5K, $30 for the 10K and $10 for the Kid’s K. Registration is now open via: www.bit.ly/CommunityExpo. The Food Truck ring will open immediately after the races at 10:30AM and will conclude at 2:00PM. Founded in 1926, the Junior League of Pasadena is celebrating its 85th anniversary and was recently awarded the title Nonprofit of the Year by the Pasadena Star-News’ Rose Magazine. Its mission is to develop the potential of women, improve communities and promote volunteerism. Over the years, the League has donated tens of thousands of volunteer hours and more than $3.5 million to effectively serve the community. Past accomplishments have included creation of a family education and services center at Madison Elementary School, creation of the popular Kidspace Children’s Museum, and creation of the docent program at the Huntington Library, Art Collections, and Botanical Gardens. The League reaches out to women of all races, religions and national origins who demonstrate an interest in and commitment to volunteerism. Mint is an online system of money management. With in 5 minutes, you can get a good financial management system in your palm. 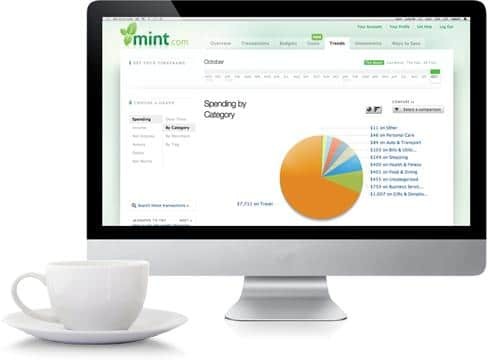 Mint’s Money management software gathers your credit card, bank and credit union data and provides helpful advices about your financials. You can achieve your goals quickly by tracking your advancement towards goals. With wise budgeting you can plan to buy a new house or pay all of your debts. 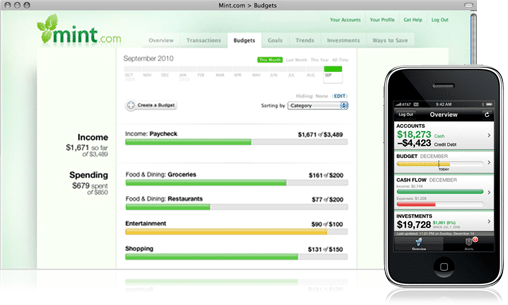 Mint puts all its service efforts to guide you regarding making money and savings. During first session, users are given an opportunity to save hundreds of dollars in their accounts. Mint generates categories to list all your purchases made, to let you know that how much money you spent. Mint also facilitates its users by making them aware about hundreds of offers made by providers so that users may avail better options regarding their bank accounts, brokerage accounts or credits cards etc. 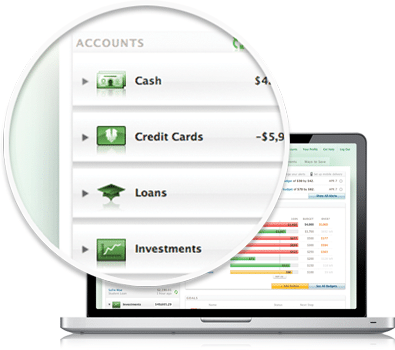 Mint helps its users to place all of their financials at one single place. It makes life easier and also provides you clear information about you finances like your investments or savings. It makes ones dream come true by providing help services and free wise advice as they are individual spending pattern based. Mint sends regular mails to its customers so that to keep them up to date about their budget. Almost 4 million users are connected to mint’s network because of security assurance of their money. Everyday 3000 customers are getting added to mint’s platform. It follows a strict policy of 128 bit SSL encryption as well as read only option which makes your finances safest. Mint has earned a high name by achieving certain awards like CNN money, Kiplinger’s and The Webby’s award.Still, Mint considers its 4 million customers as its biggest achievement. Mint also alerts you via email or SMS messages, if your budget is lower or you have to pay some bills. Its services are free of cost and it helps users to make savings. That’s amazing—Launch pad opened its doors to expand entrepreneur’s community. Launching pad provided competition opportunities to new companies who have not yet offered their services by public and press demos. Already existing companies also took part in this competition that comes up with new versions or products. This was biggest event for entrepreneurs to bring their innovations and inventions forward. Conference was held in San Francisco on 23rd and 24th February of year 2011. Two companies were selected every day by Jury from PAD to provide an opportunity to go on stage and present themselves. Join us as up to 20 food trucks circle up at UFC Gym to serve up great food and raise money for the September 11 Memorial. Click here to find out how you can cut to the front of the food truck line. 12:30 – 7:30 p.m. 11:30 a.m. – 5:30 p.m.
Click Here for the flyer to help spread the word. Fresh Fries makes high quality French fries using high quality, vegetarian ingredients. Global Soul is food for the soul, it’s comforting and full of flavors inspired from eats found all over the world. LA Food Truck serving wieners with East Coast flavor, flair & fun. Grill ‘Em All proudly serves its beloved Ghouls the best in gourmet hamburgers, fresh cut fries and heavy metal mayhem. Komodo brings you street food with a gourmet twist. Mixing 100% fresh ingredients, Komodo was created by a world class chef and designed to bring high style, gourmet food to LA. We are L.A.’s newest gourmet food truck selling mac ‘n’ cheese like you’ve never tasted before! Traditional and vegan-friendly Gourmet Vietnamese food truck serving the streets of Los Angeles! The Sweets Truckis a mobile bakeshop and gourmet coffeehouse, loaded with the best-of-the-best from LA’s professional bakers, pastry chefs and coffee roasters. Serving up authentic Filipino Food. I met Matthew Schwartz at Jameson Brown Coffeehouse in Pasadena on Allen this morning. He was testing the water that goes into the Espresso machine. This insures a quality tasting product coming out of the machines. Matthew can be reached at (818) 745-6700 for all your Espresso machine needs. 8-month-old boy laughing hysterically while at-home daddy rips up a job rejection letter. It was so fun that they moved on to credit card statements! Chewing gum is a great fun for many people and sometimes they get addicted to chew gum. Variety of flavors and brands are now available in market. An average man chews 300 plus gums every year. Major purchases of chewing gums are done during Christmas or Halloween. Nowadays dentists highly recommend sugar less chewing gums to their patients. Stay gum is recognized as a well known distributor of chewing gums. It is licensed to provide functional gum for chewing. This healthy product leads fitness, health and well-being industry towards success. Stay Gum is relatively a better herbal supplier as beneficial ingredients are readily available with no requirement of water. Herbal gums are also available with sugar free option which attracts the diet conscious people. Herb supplements become available with no increase in calories of a person. Functional chewing gums are manufactured by A.n.n.A.LLC and distributed via stay gum distributors. Manufacturer of chewing gums have strong customer relationship with its distributors. Good quality pharmaceutical constituents are utilized to produce each product. The manufacturing process only takes place in USA and Cold compression method is used to manufacture every single piece which also guarantees that active and healthy constituents are provided to customer. Thus one gets fullest potential from each piece. Usually extrusion method is preferred by other manufacturers to produce. This method heats the ingredients until boiling point reaches which results in lesser potential and health providence. Stay Gum’s easier delivery system as well as Health benefits and solutions make it possible to provide good products in market. Credit goes to Stay Gum to offer quality life all over the world. 1. 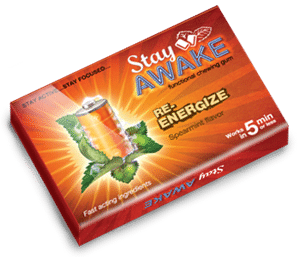 Stay Awake gum provides a quick energy boost and allows you to fight symptoms such as loss of mental clarity, awareness and fatigue. 2. Stay Calm — sometimes situations do not go as expected. Stay Calm – helps you stay in control. 3. Stay Healthy — eat and live healthy – even small changes can make a big difference! 4. Stay Steady – Stay Steady chewing gum is a must for every traveler! 5. Stay Slim – STAY SLIM chewing gum has been specifically formulated to assist you in taking control of your appetite. Each packet cost less than $4.